We added the panel numbers to the 30 pages of Miyakobijincho because the numbers were missing where they were not suppposed to be. For those of you who already submitted your entries, we assure whether or not entries have the panel numbers doesn’t reflect the assessment. We fixed the pagination errors on the page 20 and the following pages of Miyakobijinyawa. Please check the corrected pages and translate them. We are sorry for the inconvenience.
" Manga Translation Battle of Professionals," where eight translators including the past winners of the Manga Translation Battle and professionals with long careers as translators compete against each other in a knockout tournament, will start on September 14th! All translators make mistakes at times, but not all mistakes are created equal. Some mistakes cost the translator more points than others when they are found in a submission to a contest like this one, or when submitted to a professional manga publisher in the hope of getting work. All the mistakes shown here are fairly common with young translators, and if one can correct these mistakes before making a submission, the chances of receiving paying work get better. Light novels: also lost in translation? As anime has gotten more popular overseas, more and more fans have been wanting to read and enjoy the original source content for their favorite shows. Once upon a time, that was primarily manga. But nowadays, many popular animated shows are drawn from light novels, and this has opened up new opportunities and challenges for publishers and translators. 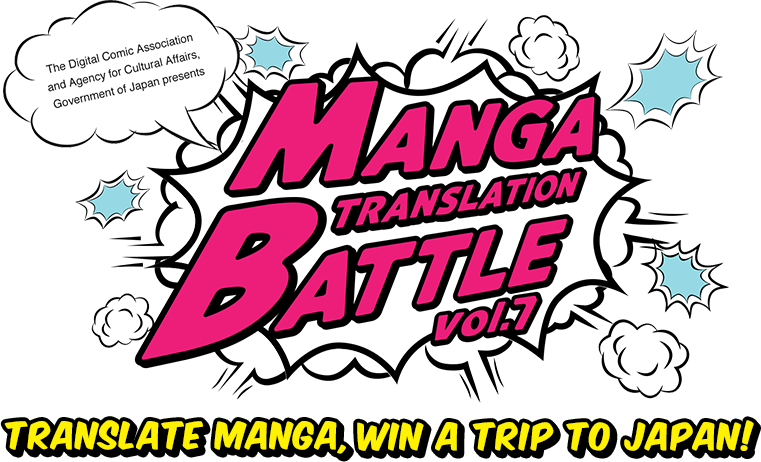 The Manga Translation Battle is the world's only official Japanese manga(including Light Novel, the same applies to the following) translation contest presented by the Digital Comic Association and Japan's Agency for Cultural Affairs. First place winners for each work will be selected some time between January and early February 2019. In addition to the following prizes, winning translators may receive job offers to translate the entire work and debut as professional translators! A single Grand Prize winner from the First Prize winners will also be selected, and will receive an invitation to attend the award ceremony in Tokyo—with a free plane ticket! Note: In the case we receive too many applications, a lottery will be held to determine place allocation. The Grand Prize winner can select an award equivalent to 100,000 JPY, the First Prize winner an award equivalent to 50,000 JPY. Depending on the administrator’s policy, awarded items are subject to availability. *Award winners may be requested to change their order. A boy lives on a tiny planet with a flower as his only companion. He follows the flower’s advice and gets on a comet that takes him to Japan. He makes friends, finds work, and overall his life goes well. But one day, he hits a big wall. He doesn’t comprehend feelings that are normal to everyone else. He is disappointed in himself and no longer sees meaning in life. After going through suffering and doubt, what is the important thing that he finally finds? This author is renowned as an outstanding human drama writer, and this is his first long piece of work written over 10 years. Finalists These translators are onto the final round of screening. Keiichi Osada is 26 years old and unemployed. Once, he spots his former boss in the street. He runs away from him and hides in a bar where he meets Miyako, a kimono-wearing Kyoto beauty. She likes ghost stories and is thrilled to hear strange accounts involving Keiichi’s ex-boss. Keiichi instantly falls in love with Miyako, but …? This is a story of melancholy-tinged love, bizarre rumors and a sentimental breakup, and Kyoto encompasses all of these. 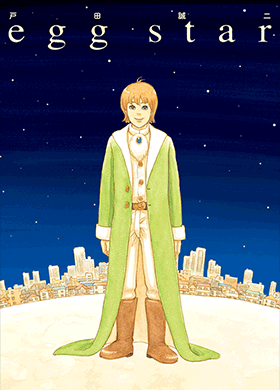 The author, Yumi Sudo, choses this city as the stage for this humorous, weird and bitter-sweet story released as a 6-volume omnibus edition. The antique shop Kura can be found on Kyoto's Teramachi Sanjo shopping street. 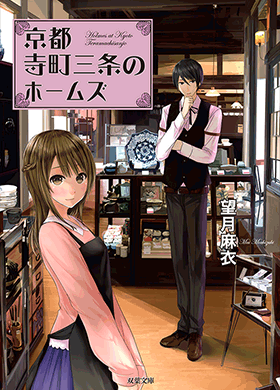 High school girl Mashiro Aoi ends up with a part-time job at Kura after a chance meeting the owner's grandson, Yagashira Kiyotaka. Together, she and Kiyotaka--the keen-minded "Holmes of Kyoto"--end up taking all kinds of strange requests that come to the shop! For instructions on how to format the translation, please click here. Select one of the three featured manga to translate. Translate the manga from Japanese to English, and submit your entry. There's no fee for entry. 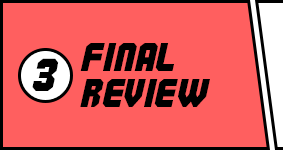 All entries will be reviewed by professional translators and the finalists will be chosen. The judging committee will review the finalists and choose the winning entries. 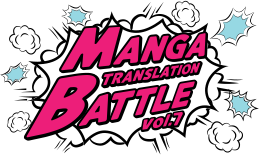 The finalists' translations will also be posted on the Manga Translation Battle website. First Prize winners for each work will be selected some time between January and early February 2019. All winning translators may receive job offers to translate the manga series from their entries, plus the opportunity to debut as a professional translator, and various other wonderful prizes! 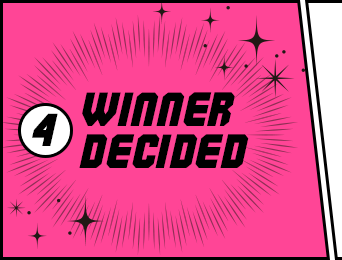 A single Grand Prize winner will be selected to receive all of the above, plus an invitation to attend the award ceremony in Tokyo, with a free plane ticket! When the winner is a group that consists of multiple persons, only one ticket will be given. Greetings and common phrases are some of the most difficult parts of translating Japanese, but the key to handling everyday aisatsu is simply maintaining flexibility. Manga combines drawings with text, so missing a visual cue can easily trip up your translation. You also need to take panel layouts into account when translating certain types of spoken lines. Here are tips on how to deal with these two issues. Manga Translation Battle of Professionals has begun! Debora Aoki has been writing about manga professionally since 2006, but is also a lifelong manga reader who has many happy memories reading Nakayoshi when she was in grade school. From 2006-2013, she was the Manga Editor for About.com. She is currently the editor of MangaComicsManga.com, a site devoted to manga and comics from around the world. She is also a contributing writer for Publishers Weekly. Debora lives in California, in the San Francisco Bay Area and regularly writes about comics events throughout North America, and occasionally Japan. A native of Washington, D.C., Matt has been working as a professional translator since the early 1990s. Together with Hiroko Yoda he is the co-founder of AltJapan Co., Ltd., a dedicated entertainment localization company that has produced the English versions of many top video games, toys, and manga, including the Gundam series and the Doraemon series. He is the co-author of numerous books about Japan, including "Yokai Attack! The Japanese Monster Survival Guide." Tomo Kimura started translating manga in 2004 after a career in software engineering. Starting with Full Moon O Sagashite (Arina Tanemura), representative manga translations include Kakuriyo: Bed and Breakfast for Spirits (Wako Ioka/Yuma Midori), Black Butler (Yana Toboso), Kaguya-sama: Love is War (Aka Akasaka), and Skip Beat! (Yoshiki Nakamura). She currently teaches manga translation at Fellow Academy, a translation school in Tokyo. 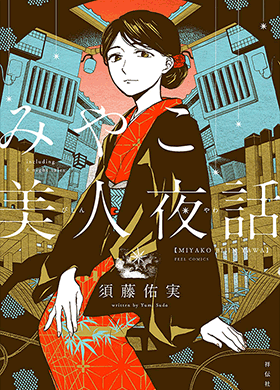 Courses teach the basic rules of manga translation, with emphasis on translation issues for Japanese students whose native language is not English. Born in Kobe, Tomo lives in Tokyo. All entries for the Manga Translation Battle ("Contest") shall be governed by the following rules. 1. All entries to the Contest must be original works by the contestant ("Contestant" or "you"). Plagiarizing, reusing, or referencing of pre-existing translations (i.e., previously published in print or broadcast), in whole or in part, is prohibited and will be disqualified. 2. Entries can be the work of a single individual or a group. However, a group may only submit one entry. Multiple entries will be disqualified. 3. You may submit your entries for multiple works, but will be eligible to win a total of one award. 4. Entries will be accepted regardless of the Contestant’s age, nationality, or place of residence. 5. Questions regarding the Contestant's translation will not be addressed, including but not limited to requests for constructive criticism and feedback. However, constructive criticism and commentary by the judges regarding specific entries may be published following the awards ceremony. 6. The final round of judging will be conducted by contest judges. 7. Generally, we will ask to have the prize winner translate the winning piece. However, there are no guarantees, and it is up to the discretion of the publisher and content distributor [etc.] whether or not the prize winner will be suitable to translate the said piece. 8. We may introduce a translation agent to the prize winner for translating the winning piece. 9. The Contest sponsors (the Digital Comic Association and Japan’s Agency for Cultural Affairs) and the Contest administrators (Dentsu) reserve the right to access any personal information disclosed in the application process. 10. When submitting your entry as a team, all the members of the team will have to sign up for a contract with the publisher (or a translation agent) and work on the translation of the winning piece if you win and work as professional translators. 11. 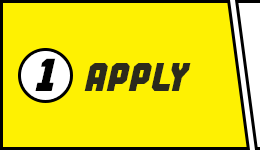 By entering the Contest, you signify that you have read, understood, and agree to be bound by these Rules, and any additional terms and conditions, notices and disclaimers displayed throughout myanimelist.net, as applicable. Please read the Frequently Asked Questions before contacting us. If you are unable to submit your entry successfully, please contact us above.